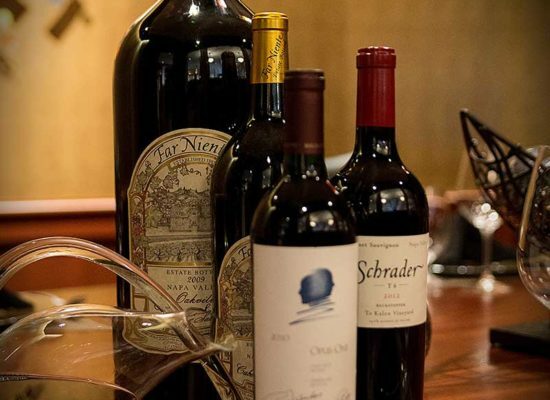 Join us for a night of indulgence! 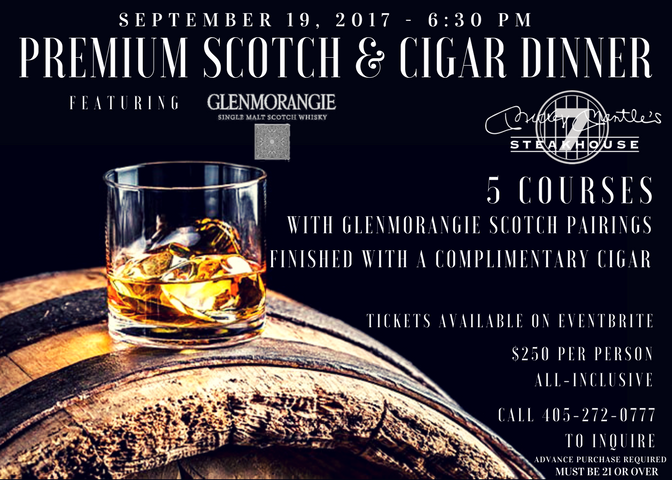 Scotch & cigar aficionados in OKC are invited to sample a dram of Glenmorangie at Mickey Mantle’s Steakhouse on September 19th. 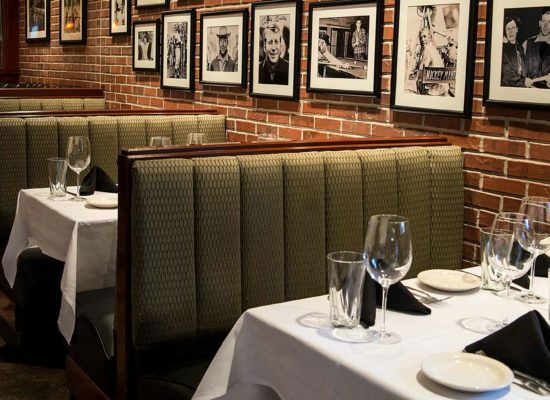 Mix & mingle with fellow enthusiasts as you indulge in fine scotch & cigars at OKC’s premiere upscale bar & cigar lounge in Bricktown. 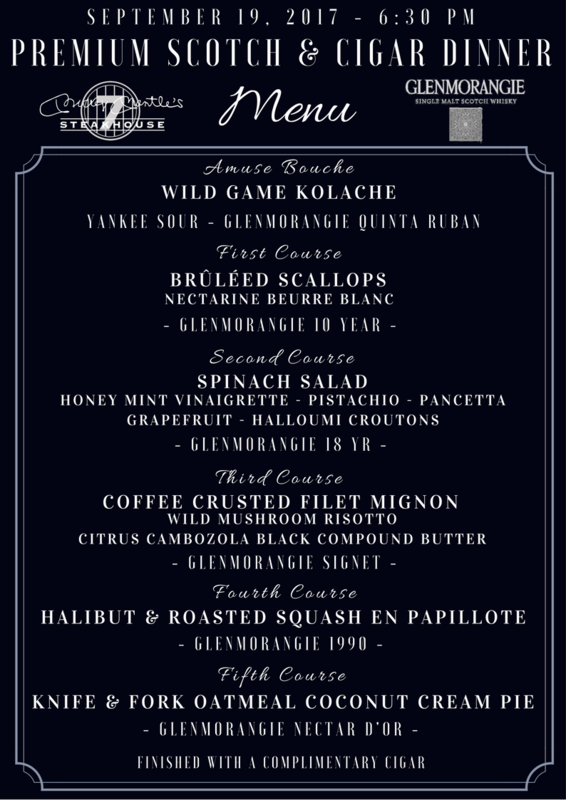 This premium scotch & cigar event will feature the best of the Glenmorangie portfolio perfectly paired with delectable cuisine from the Mickey Mantle’s culinary team before finally finishing the evening with a fine cigar. We are excited to announce a special guest will be joining us to share insider knowledge, tips and tricks. Advance ticket purchase is required for this event. Tickets available on Eventbrite. Or visit the Facebook event page for details. 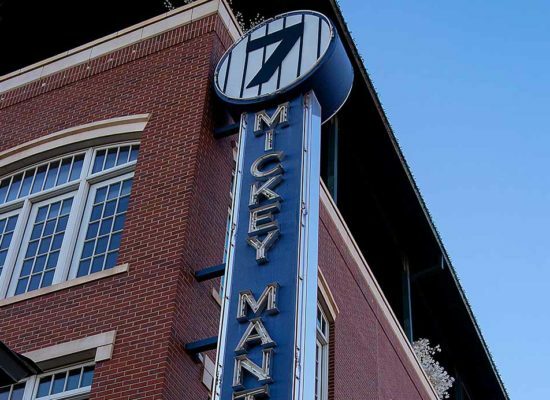 Call 405-272-0777 to inquire. All attendees must be 21 years old minimum. View full menu below. In 1843, William Matheson founded the Glenmorangie Distillery in the Scottish Highlands. Inspired by the Distillery’s peaceful surroundings on the banks of the Dornoch Firth, he brought forth a pioneering single malt whisky wonderfully complex and exceptionally smooth. Ever since, Glenmorangie has pursued theirr craft with uncompromising dedication – endlessly creative in their quest for perfection. To this day, they honour the Distillery’s provenance in their award-winning single malt. Its pure, smooth spirit is distilled in Scotland’s tallest stills, matured in the finest casks and perfected by The Men of Tain. And, in the hands of these select craftsmen, the guardians of the spirit, Glenmorangie will surely delight malt whisky lovers for generations to come. 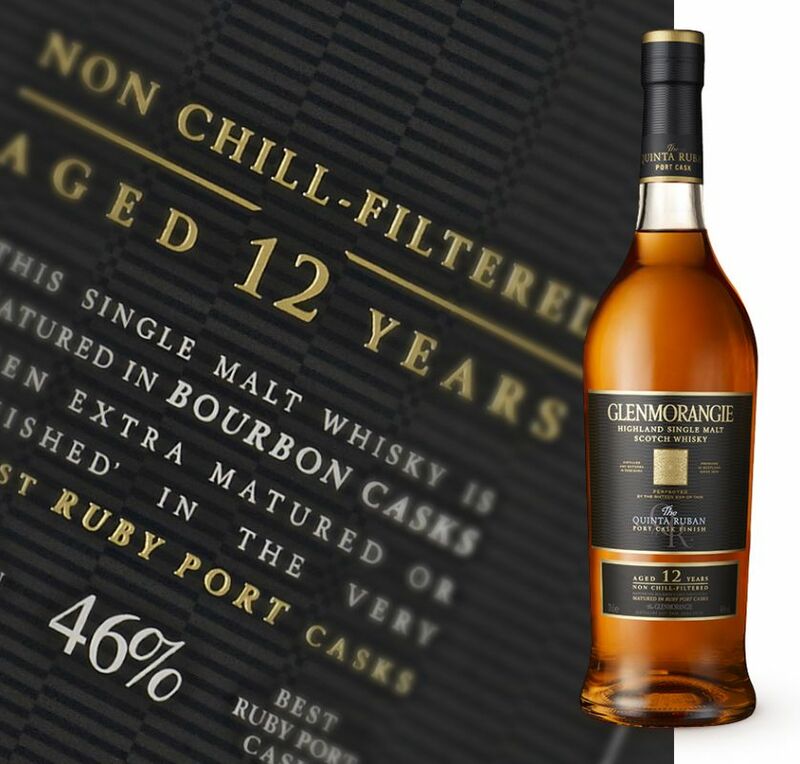 Glenmorangie Quinta Ruban – The darkest and most intense whisky in the extra-matured range, Glenmorangie Quinta Ruban has spent 10 years maturing in American white oak casks, before being transferred into specially selected ruby port pipes from the Quintas or wine estates of Portugal. 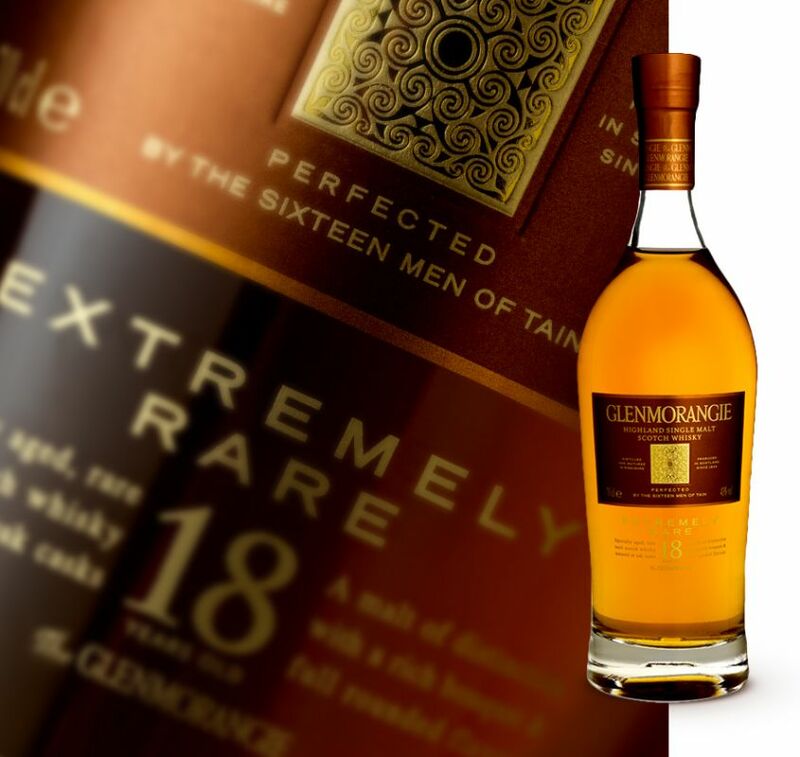 Glenmorangie 18 YR – The 18 Years Old is a single malt Scotch whisky of serious distinction. 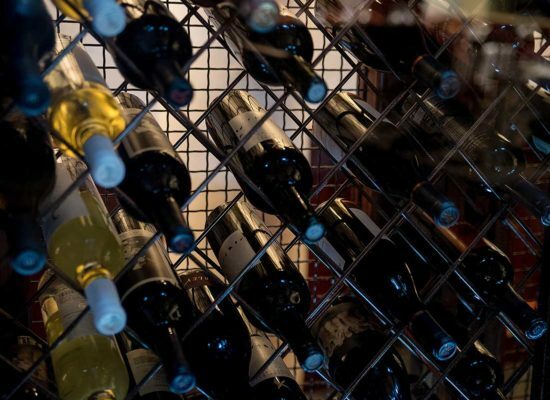 Once it has spent fifteen years maturing in American white oak casks approximately 30% is transferred into Spanish Oloroso casks to spend a further three years maturing. Then, when both elements have reached 18 years, we blend them back together to create a whisky with a rich bouquet and full, rounded flavour. For a whisky of this age this expression has maintained, thanks to our delicate floral spirit and fine Oloroso casks, an incredible degree of vibrancy where the raisiny sweetness of the sherry has been toned down by the nuttiness of the American oak. 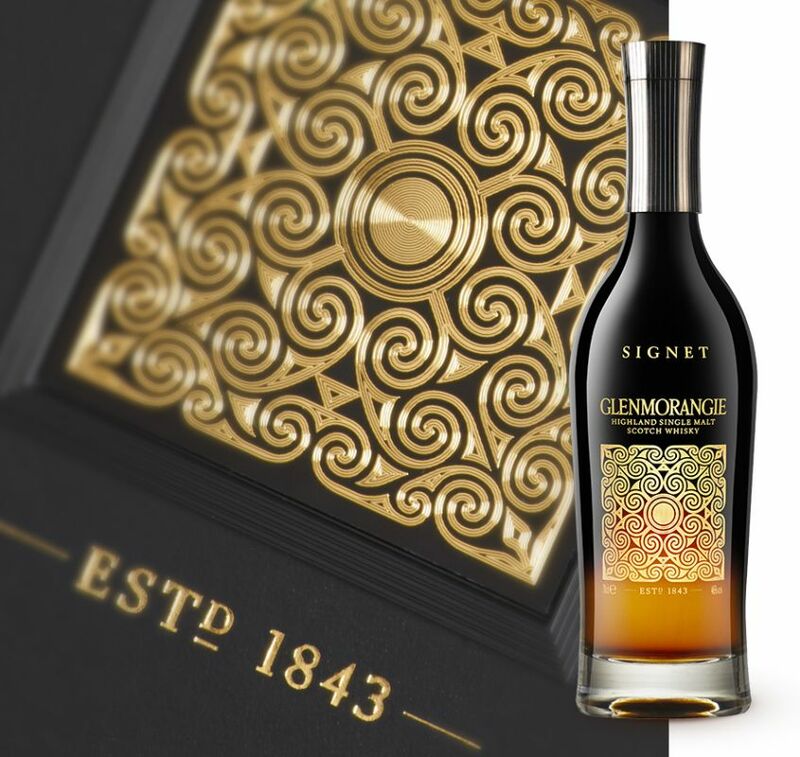 Glenmorangie Signet – A fusion of unique and rare elements, and clouded in secrecy, Signet is the culmination of a lifetime’s experience. A blend of our oldest whisky – distilled over thirty years ago when malting still occurred on site – and spirit matured in a selection of the world’s finest casks, this undoubtedly is the richest whisky in our range. 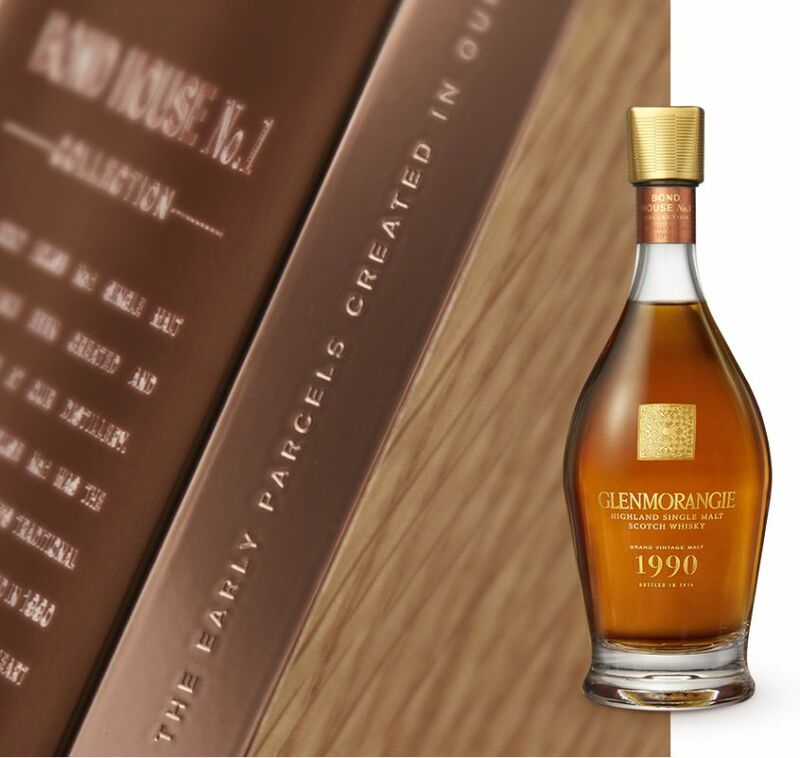 Glenmorangie Grand Vintage 1990 – With a vibrancy that belies its 25 years in casks, Glenmorangie Grand Vintage Malt 1990 is an inspiring opening to our exclusive vintage collection, Bond House No 1. The story of this intriguing single malt begins with a small parcel of spirit, created against all odds, from one of the most challenging barley harvests in living memory. Carefully nurtured for a quarter century in the finest ex-bourbon and ex-sherry casks, this sublime whisky exhibits an extraordinary mellow, rounded character with heady floral and fruity notes. 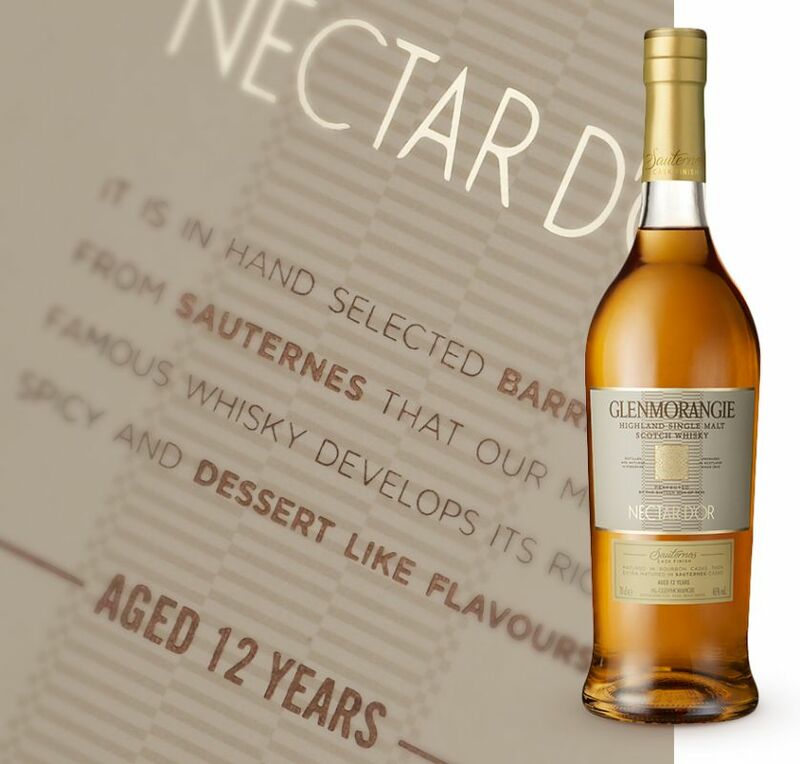 Glenmorangie Nectar D’Or – “Great to see French casks that actually complement a whisky – so rare!